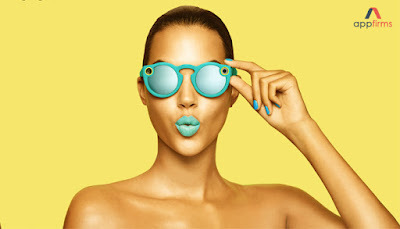 Snapchat, which is now known as Snap has introduced sunglasses which take videos through a built-in camera placed in the frame – reminding the Google's Glass device. The new Snap's glass allows users to record 10-second videos by tapping a button located on the top left-hand corner of the glass frame. Such videos can be transferred over Bluetooth or WiFi to iOS and Android. As per the company, the glasses can work for one day on a full charge, and are recharged by keeping them in their case. The company is going to price the product for about US$130. The glasses will be available in teal, black, and coral. Snap Glass connects directly to the Smartphones having Snapchat Application, and videos automatically get stored in the service's Memories feature. The camera offers circular videos with a wide view of 115-degree. Lights on the inside and outside of the frame indicate users that a video is being captured. The snap glasses remind of Google Glass, but let’s hope these glasses doesn’t face opposition from privacy groups as many restaurants, bars and other similar joints banned Google glasses on their property. Moreover, it will be interesting to see whether the Snap glasses appeal to the public or it’s going to have a fate like Google glasses.